Maria is an Associate in the Dispute Resolution team in Dubai. Prior to joining Hadef & Partners, Maria practiced with a well-known litigation focused law firm in Johannesburg. Maria advises on a wide range of general commercial litigation and arbitration matters, often with multi-jurisdictional implications. Maria has acted for major international corporations, banks and high net worth individuals on a variety of complex, high value contractual disputes, real estate disputes, shareholder disputes, commercial agency and information technology disputes. 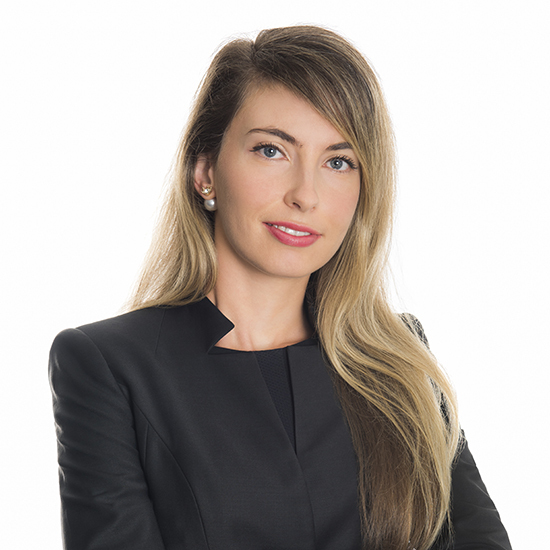 Maria also regularly advises on: multi-jurisdictional enforcement of judgments and arbitral awards through the UAE Courts and through the Dubai International Financial Centre Courts, attachment of assets, asset tracing and recovery of assets in the UAE. Maria also advises on the laws of the Dubai International Financial Centre and represents clients in disputes before the Dubai International Financial Centre Courts. Maria is registered as an attorney with the Law Society of the Northern Provinces in Johannesburg South Africa, as a Legal Consultant with the Dubai Legal Affairs Department and as a legal practitioner with the Dubai International Financial Centre Courts.